A spiritual home in the heart of Oslo. You are welcome to join us every Sunday at 11.00. We are a church of tremendous diversity, with people from all ages, many races and nations, and social backgrounds. We include single people, families, refugees, ex-pats, and long-established citizens of our host country. We offer a place to belong and a spiritual home to respond to the reconciling love of Jesus Christ. We are part of the Diocese in Europe of The Church of England, and the worldwide Anglican Communion. Second Sunday of Easter - Sunday 28 April at 11.00. Followed by the AGM of The Anglican Chaplaincy in Norway. You can find more events on our main Events page. Saint Edmund’s has been the starting point of many valuable friendships. Second Sunday of Easter - Sunday 28 April at 11.00. Followed by Chaplaincy AGM. You can find these and other dates on our main Events page. Keep an eye on our Facebook page for news and events. 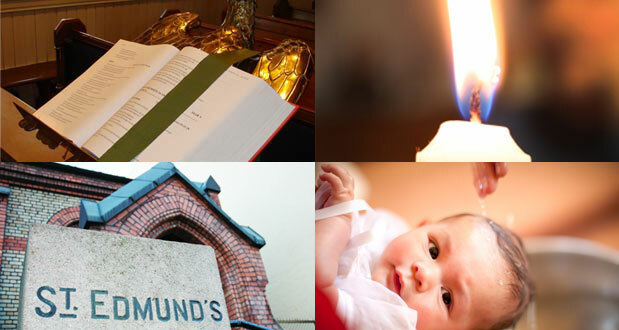 The Anglican Chaplaincy in Norway holds weekly Sunday services in four cities (Bergen, Oslo, Stavanger and Trondheim) as well as seasonal and/or occasional services in at least four other locations (Balestrand, Drammen, Kristiansand and Tromsø).